Eva Kruse was born the 16th of october 1978 in Hamburg/ Germany. 1998-2003 she studied acoustic bass and improvisation at the university of arts “UdK” in Berlin with teachers Sigi Busch, Jerry Granelli and David Friedman. 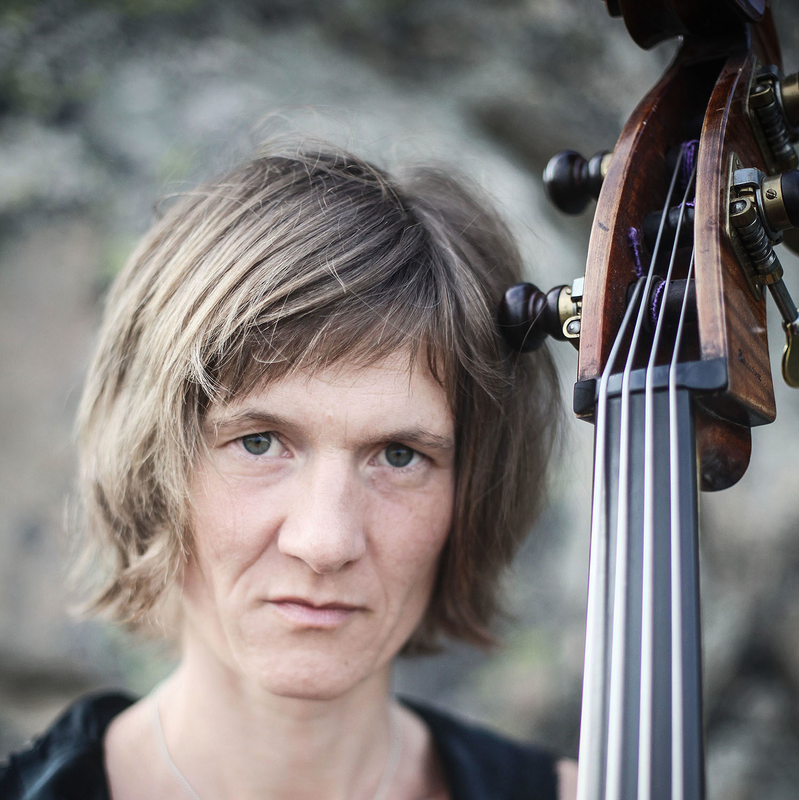 She also went to Sweden to study with bassist and professor Anders Jormin in Göteborg for one term. 1999-01 Eva was a member of the german youth-jazzorchestra “BuJazzO”, where she took classes with pianist John Taylor who inspired her into starting writing music for different bands and projects. drummer Eric Schaefer and what started as “Eva Kruse Trio” soon became the highly acknowledged trio [em]. 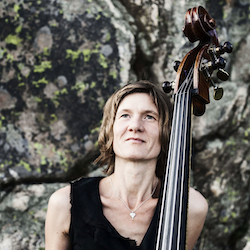 With [em] Eva has released five albums on ACT Records, toured worldwide over the last ten years and has won two grammy´s in Germany as “best national ensemble”. Since 2012 the band is called “Michael Wollny´s [em]”. Other projects she has worked with include the bands Firomanum, Arne Jansen Trio and the Berlin-based groovecollective SOAP. Eva Kruse is a well-known guest at the JazzBaltica Festival in Schleswig-Holstein (Northern Germany), where she has played the session-opener-act for a few years as well as europe-wide broadcasted concerts with [em], Firomanum, SOAP, saxophonist Bunky Green and the JazzBaltica Ensemble. At JazzBaltica she even got to know swedish trombonist Nils Landgren with whom she is now frequently touring and recording CDs with different constellations such as Nils Landgren Christmas With My Friends, the Ensemble New Eyes On Baroque feat. Jeanette Köhn and the Swedish Radiochoir a.o. 2012 Eva Kruse founded her own new project “In Water” with oboist Tjadina Würdinger, saxophonist Uwe Steinmetz, pianist Bugge Wesseltoft and drummer Christian Jormin. The first CD from “In Water” was released in September 2014 on Redhorn Records / Naxos. Release tour 2014/15 with Carsten Daerr on piano. For “In Water” Eva received a “Jazz Echo” in Germany as bass player of the year. 2016 Eva Kruse recorded and released her second album “On the Mo” on Redhorn Records/Naxos and continues touring with her quintet now called Eva Kruse “On the Mo”.